When you are getting ready for hunting season, there’s a lot that you need to make sure that you have. At the most basic level, though, you will need your hunting gear such as scopes, rifles, and bayonets. Any hunter can tell you that grabbing the first option you see isn’t usually the best choice. Instead, you have to take into careful consideration what you need and what will suit those needs. 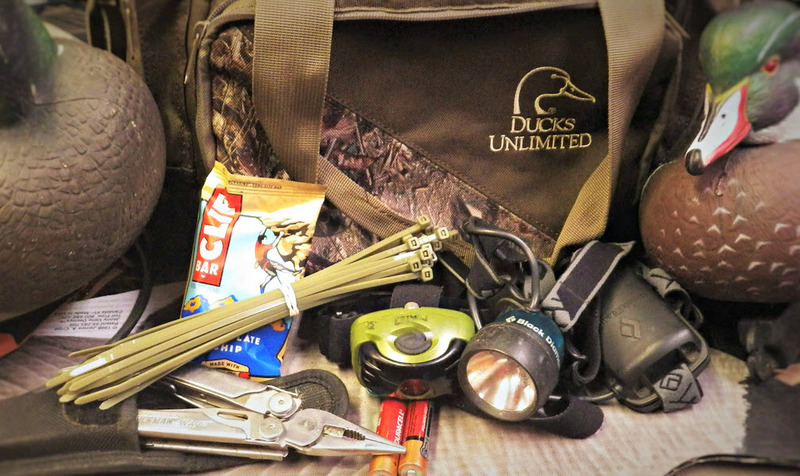 That’s what we’re going to look at here: how to find the essential gear you need to hunt. A scope is an optic that attaches to your rifle and helps you better see the game you’re hunting. The market for scopes is constantly growing and it can be overwhelming to find the right choice. Odds are, you’re going to buy your rifle before you buy your scope. With this in mind, it’s important to properly budget. For a lower end option, you’ll want to keep around half as much as your rifle on hand. 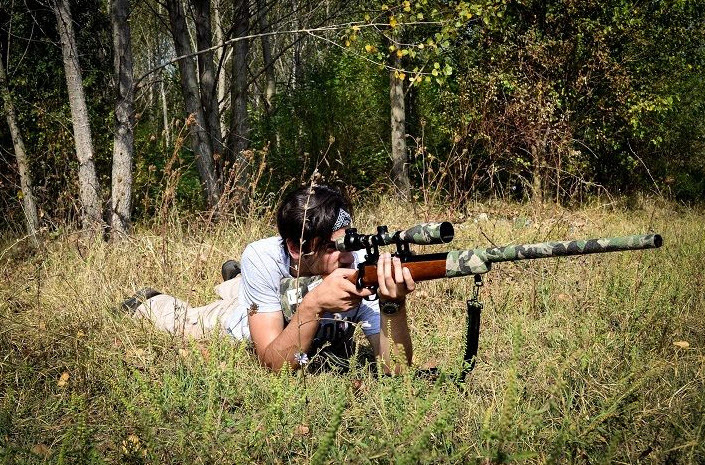 If you want to go all out, you might spend just as much money on your scope as your rifle. If you have a large-diameter main tube, you’ll have a large range of adjustment. These tubes usually measure in an inch, 30mm, or 34mm. The downside to a large main tube is the same with any large piece of equipment: weight. Larger main tubes also aren’t the best choice when you are looking for scopes on a budget. 34mm main tubes, for example, can cost as much as a couple hundred dollars. For most hunters, a 1” main tube is suitable. Objective lenses come in a much wider range than main tubes. They are usually sold in sizes 40mm to 50mm but you can find an even wider range of 20mm and 70mm. The bigger the objective lens is, the better you’ll be able to see in low light. For most hunters, around 40-44mm does the trick. The glass on your scope should be made with quality material. While other parts of your scope can be balanced to save, you won’t want to go cheap on glass. The best choice is extra low-dispersion glass. 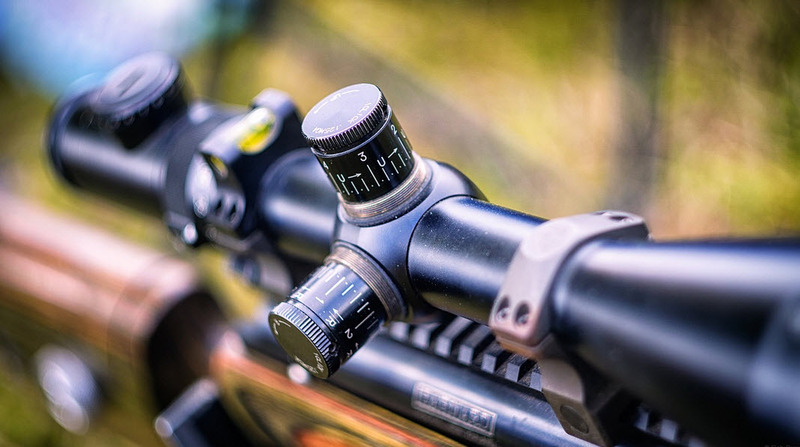 Another important thing you will want to look at when you are choosing a scope is the magnification it offers. After all, one of the reasons to use a scope is to enhance your sight. The exact magnification, however, is a topic of debate and generally comes down to your own opinion. One example is a 3:1 zoom which is 3x magnification every 100 yards. Of course, the perfect scope means nothing if it isn’t used with the right rifle. Again, you have plenty of choices to find the perfect fit among. We can’t go over every single option you have here so if you’re interested in a specific gun after reading these tips, you should be sure to read reviews about it before you make your purchase. Rifle action refers to the gun’s action of kicking out and loading cartridges when needed. For this, you can choose from a single-shot rifle or a repeating rifle. Repeating rifles are often recommended for beginner hunters. On the other hand, single-shot rifles are well-loved for their accuracy. For the right rifle, you need the right ammo. A big part of this comes down to the gun you choose since certain guns use specific bullets. You’ll need to do your research because while a rifle that shoots a .308 Winchester is fine for most hunting, it probably won’t work if you are trying to hunt large game. Just like with the scope of your rifle, there are things that you won’t want to skimp on. The material your rifle is made of is important. The best choices to look for are stainless steel or carbon steel. Carbon steel is the more economical option but you will have to be more trouble with rust. 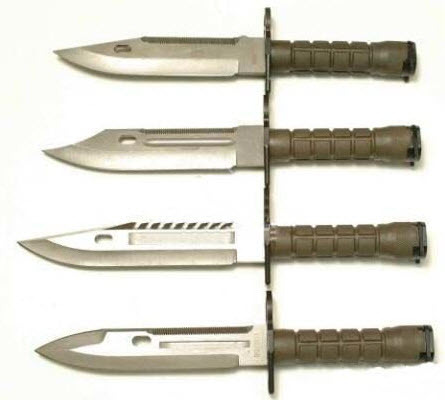 Bayonet knives, traditionally, are attached to a rifle to allow the gun to function of a spear. These aren’t always used by hunters but the knives can be useful even if they aren’t attached to a gun. More often, these are used in the military but having a multi-purpose knife handy is never a bad idea. There are a few considerations that you should keep in mind when choosing a knife besides the obvious necessity of a strong blade. 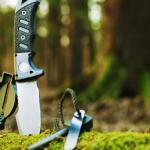 The first thing to know about bayonet knives is that they are fixed rather than folding blades. This makes them stronger, more reliable, and easier to clean than a folding blade. While these heavy-duty choices are great for hunters, there are a few drawbacks. Namely, these are bulky and they aren’t as safe to carry with you. This is because while a folding blade can protect the blade when it isn’t in use. Since a bayonet knife is a fixed blade knife, you’ll want to make sure that the blade you buy comes with a reliable sheath. The handle of a knife can be overlooked but it shouldn’t be. You’ll want to look for something that is durable, comfortable, and looks nice. Metal is a popular choice but it can be a pain in the winter. A popular option is synthetic handles since they offer a good grip. Every hunter needs the right gear to set the season off right. With these things in mind, you should be able to find the best possible scopes, rifles, and bayonets.